Obituary for Olivia Vanetta (Ewell) Bratten | Jolley Memorial Chapel, P. A. Snow Hill – Olivia Bratten, 83 of Snow Hill, passed away Thursday, March 29, 2018. Born in Snow Hill, she was the daughter of the late William Arthur Ewell and Hattie (Corbin) Ewell. 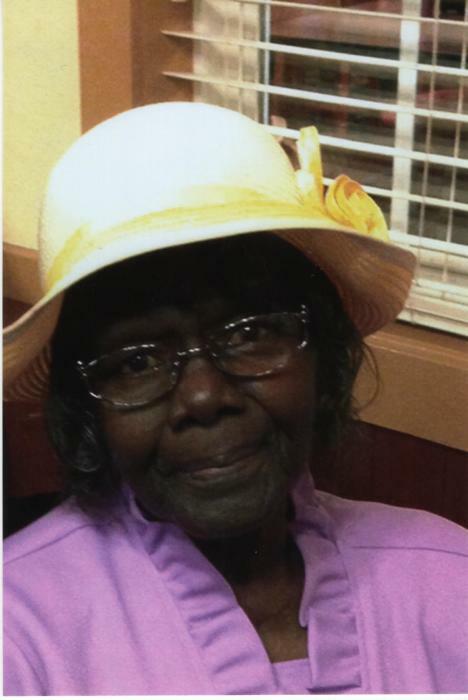 She was an active and faithful member of St. John Holiness Church in Stockton, MD where she served in several capacities. Her survivors include her husband of 62 years: Elder Edward Bratten of Snow Hill, MD; three children: Lucinda Bratten and Carmella Powell, both of Salisbury, MD and Edward (Felecia) Bratten, Jr. of Hebron, MD; nine grandchildren: Juan, Gregory, Tyshieka and Makhai Bratten, Miracle, Kareem, Samuel and Nakia Powell and Stanford Collins,II; Ashley Snead, a great niece she reared as a granddaughter; five great-grandchildren: Demarieon, Latrez, Nyla, A’brielle and Trevon, Jr.; three siblings: Betty Connor, Arthur and Howard Ewell; one aunt: Elaine Harris Hart; special nieces: Phyllis Ewell and Libra Bolden, special nephews: Mozell Ewell and Elder Elmer Bratten and a host of other nieces and nephews. A sister, Lillie Mae Ewell and son-in-law, Cleophus Powell preceded her in death.